The quaint Karoo town of Colesberg is best known for being the 'pitstop' when driving on the N1 between Cape Town and Johannesburg. However there is more to this town than it's convenient location and abundance of overnight accommodation for weary commuters. Whether you are just taking a break for the night or spending a few days, Colesberg has a lot to offer. Since Colesberg has an amazing climate with hot summer days and moderate temperatures in winter, outdoor activities are ideal! Enjoy the starkly beautiful karoo landscape and flora and fauna by hiking or mountain-biking around Coleskop, the mountain after which the town is named. For the water babies, Gariep Dam is nearby and hosts a variety of water sports, events and tours of the dam wall. Many of these outdoor attractions are in walking distance of the hotels and bed & breakfasts around Colesberg. Animal life plays a big part in Colesberg, since it is primarily a sheep-farming area producing many of South Africa's top merinos. It is also renowned for producing high-quality racehorses and many stud farms, including one owned by golfer Gary Player, are located here. If you are interested in the wild(life) side of Colesberg, visit the Horse Mill in Bell Street or arrange to tour one of the town's historic farms. There are also Game Farms in Colesberg, and hunting trips can be arranged for those who are so inclined. While you are in Colesberg, take the opportunity to learn about and enjoy it's rich cultural history. Take a walking tour of the town where you can appreciate the early Karoo architecture of the oldest buildings which display a mixture of Cape Dutch and Georgian styles - complete with reed ceilings, yellowwood beams, small gardens and white-washed gables. The Kemper Museum is fascinating with its ancient fossil displays, photo exhibition of the Karoo nomads' lives and re enactment of the Erasmus Jacobs' discovery of "Eureka" at Hopetown (the first recorded diamond find in South Africa) and definitely worth a visit. With so much to see and do in Colesberg, you may want to spend a few days. Check out some of the self-catering accommodation on offer which will allow you the freedom to sample the local fare of the area. A quick look at our website will give you the information you need to make your choice. You will find reviews and you will also be able to compare prices and find wonderfully affordable accommodation in Colesberg. 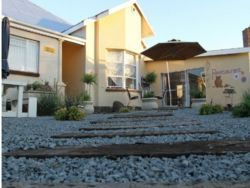 Are you planning the perfect getaway but have not yet found your ideal Colesberg accommodation? By using our easy website, you can find great accommodation of all types, whether it is a cosy bed and breakfast or a comfortable lodge. We have thousands of easy to find listings for self-catering facilities, holiday homes, guest houses and hotels as well as backpackers, chalets, caravan facilities, villas and apartments, giving you a wide variety of options when it comes to your accommodation in Colesberg. To help you find the right place to stay, we have a number of tools that you can use, including a map. This will help you to pin point exactly where you will be staying and it will show you the accommodation facilities that are closest to where you will be. Regardless of the reason for your visit to Colesberg, we can guarantee that you will find the type of accommodation you are looking for. But reviews for Colesberg accommodation is not the only information you will find. Want to know if your Colesberg accommodation is pet-friendly or allows smoking? All of that information is included on the listings page. You will also be able to find which activities are on offer and the sort of amenities included with each room. All of this information will help you to make an informed decision before you make any payments to, giving you more peace of mind about your choice. 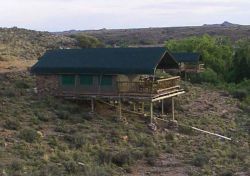 We include all of the contact details of the self-catering accommodation, holiday homes, guest houses and hotels as well as backpackers, chalets, caravan facilities, villas and apartments in Colesberg which are featured on this website, so you also have the option of getting directly in touch with the place. 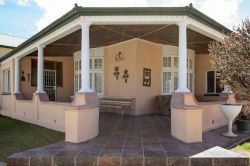 Regardless of where you are staying, we feature Colesberg accommodation in that area of the province. 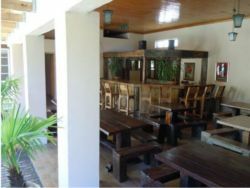 You have options of Colesberg guest houses, lodges and bed and breakfasts, among others, ranging from your more affordable, lower prices to your more luxurious options. So, you are not visiting for a holiday but rather for business and all you need is a place to stay for a night or two? The bed and breakfast options, as well as the lodges, are generally preferred by business people and you will find all types, from your more luxurious lodges to your simple, self-catering bed and breakfast. Each will give you a safe roof over your head while you are in the province. 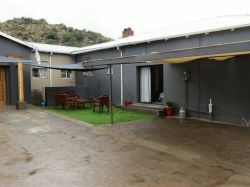 Colesberg accommodation is not only affordable but well situated. If you are doing business in this area, this is a great accommodation choice. Spending more than a few days in the province? Perhaps you are indulging in a tour of the region and you are looking for a few places to stay? 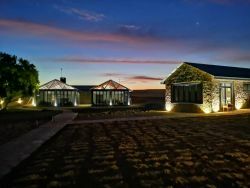 Browsing through our listed self-catering accommodation, holiday homes, guest houses and hotels as well as backpackers, chalets, caravan facilities, villas and apartments in Colesberg will give you all of the information you need to make your selection. And once you have found the ideal place to stay, you can either request a quote or make your booking directly on this website. Sleeping-OUT.co.za is designed to make finding and booking accommodation in Colesberg easier than your traditional methods of sourcing a place to stay! 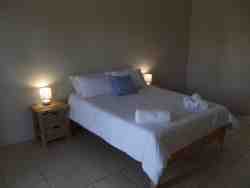 We include some great accommodation special deals in and around Colesberg. 371 reviews of Colesberg Accommodation. So much South African history in Colesberg, well worth a couple of days stay. Colesberg is a convenient midway 'break' in one's long journey, when heading from Gauteng to the Eastern/Western Cape or vice versa. Colesberg is a convenient 'break' in one's long journey, when heading from Johannesburg to the EC/WC, or vice versa.